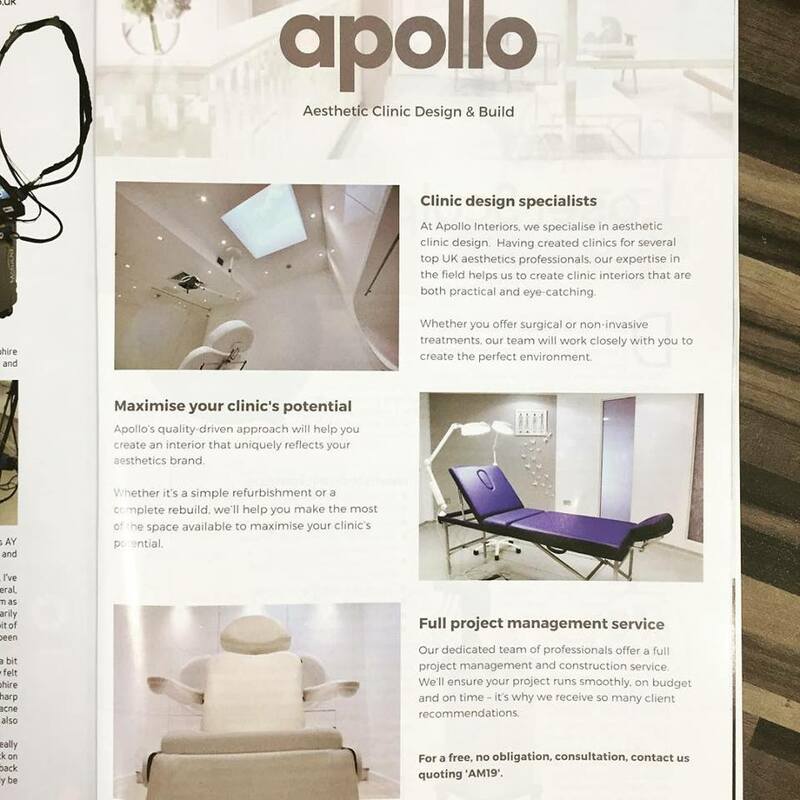 We’re very excited to be featured in March’s edition of Aesthetic Medicine magazine! 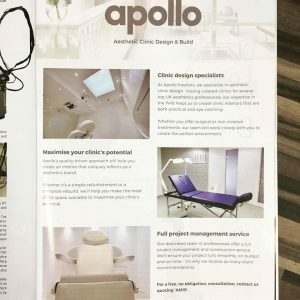 Aesthetic clinics are proving to be an exciting growth area for Apollo. We’re taking on more and more aesthetics and laser clinics as clients, either to refresh existing clinics or to set up new ones. 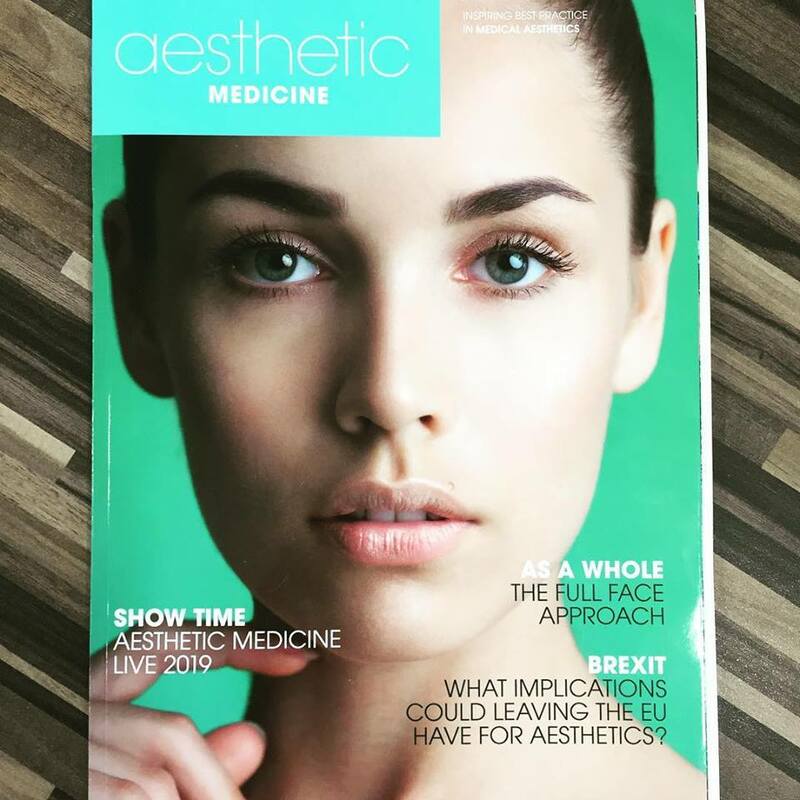 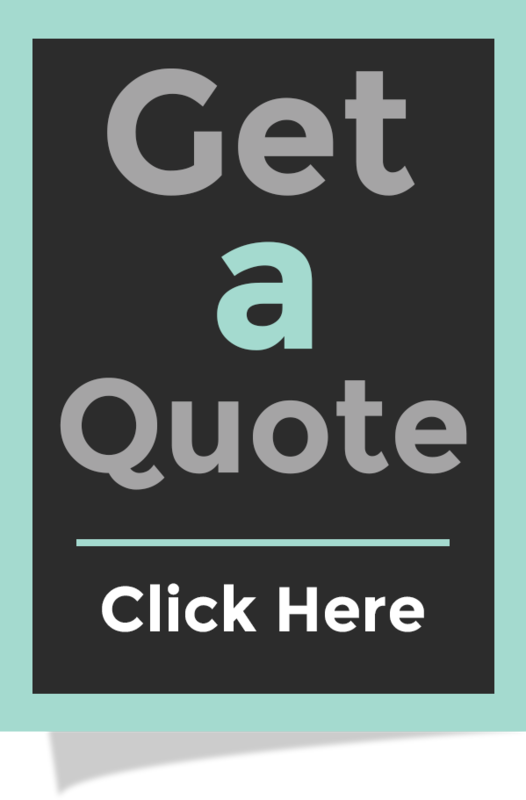 If you’re looking to open a new aesthetics clinic or to refresh your current clinic, contact us to find out how we can help.